The Grouting Machine incorporates the flexi shaft drive pump. The concept is available in synthetic or stainless steel versions. We are an acclaimed name engaged in providing our precious clients a superior quality range of Workhorse Series Grouting Machine. 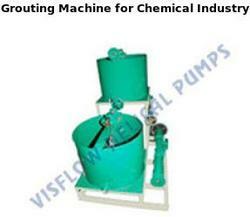 So as to cater to the increasing requirement of our customers we are offering Cement Grouting Machine. We are instrumental in offering a quality assured range of R.A.N.Cement Grouting Machine. Manufactured using high quality raw material procured from the authentic vendors of the market, these products are designed in compliance to international quality standards. Further, we provide customization as per the exact specifications laid down by the customers. 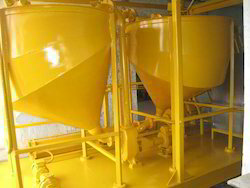 Capacity: 1000-2000 L. P. H.
Model/Type: B. K. W. G.